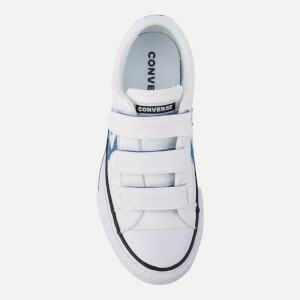 The Kids’ ‘Star Player’ Converse trainers are designed with three Velcro® straps across the vamp making it easy for smaller feet to fasten and remove. 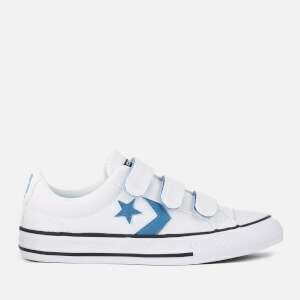 Classic Converse All Stars details remain, including: a stitched canvas upper, a rubber toecap and a striped midsole. A padded collar adds cushioned comfort around the ankle. 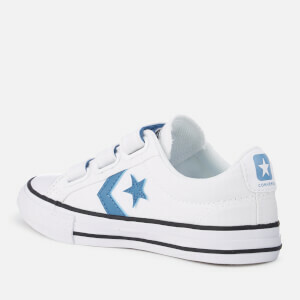 The low top trainers are finished with the Star and Chevron logo embroidered on the sides and Converse All Star branding on the tongue and heel. With an original, brown rubber sole.